Living in Cyprus is a fantastic experience, no doubt about it. It is something Mike and I did for a number of years, firstly as a military posting, then later, over the years, we worked for others, then we had a business, built a house and lived the wonderful life we anticipated we would, when we set off on our adventure at the turn of the century. We had a bit of a gung-ho approach to planning and very much a “well it will be ok, what is the worst that can happen?” attitude, which on reflection was perhaps not the best way to plan the rest of your life. But...we were younger then and had time on side but even so; we never quite fulfilled our dream in its entirery and had to leave in end because we could not sustain our lifestyle. The following questions were the ones we should have asked ourselves in the beginning so hopefully they will be useful to you in your early stages of planning. 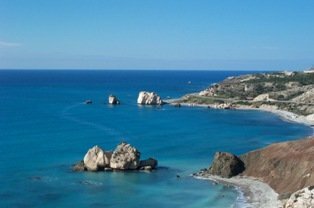 It is our top list of questions you must ask in order to have a strong sense of what you are letting yourself in for before you move to Cyprus. Because Cyprus is a strong English speaking country and they drive on the left hand side of the road, people assume the transition to living there is without complication and forget to include the emotions of each individual member of the family in the process. Why Do You Want To Move To Cyprus? Do You Need To Draw Your Pension? Have You Completed Your IHT Planning? Have You Made Provision For Your Funeral? Will You Have a Young Family With You? How Will You School Them? What Kind Of Bank Account Do You Need? You Need To Think About Your Tax Situation? Are You Claiming State Benefits? Have You Thought About Your Voting Rights? Have You Thought About Property Insurance? Do You Want To Bring A Pet? What Are You Shipping With You? Have You Worked Out The Cost Of Food? Have You Worked Out The Cost For Clothing? Have You Found Out The Cost Of Electrical Goods? Do You Know How Much Your Utilities Will Be? Do You Know How Much Your Smoking Habit Will Cost You? How Do You Feel About Crime Figures? Quite a list, not totally exhaustive, you are bound to have other considerations when thinking of moving to cyprus, but enough to give you a clear picture to see if your plans are viable. They won’t answer the emotional questions; you will have to experience the life to see what those answers are! Before you move to cyprus you need to build a framework around your plans, and the questions are regarding the fundamental issues that everyone, regardless of their financial status will need to think about. there are no crematoriums in cyprus, and god forbid if anything happened to you, and you left a husband or wife, and/or children, what on earth do you think they will do under the worst case scenario. They have to fly back to the home country, deal with the stress and grief and then move on with their life. We have witnessed on several occasions peoples lives come crashing down around their ears, because "they never thought it would happen to them", they did not have insurance, the breadwinner was gone, etc etc. So morbid it may be, it is definately a questions to be considered during the planning phase of moving to cyprus, as an example.